Our team has been selected for the Odyssey Hackathon 2019, the world’s biggest blockchain & AI hackathon. We will join forces with the Vattenfall team, as well as the supporting tech, legal, and regulatory experts, in order to build an open-protocol solution to leapfrog the energy transition by enabling small-scale green energy producers to certify their energy, validate the data, and feed it to the system, bringing us closer to a fossil-free future. Our team members have but one thing in common — the passion for solving real problems and disrupting existing markets, with technology being our closest friend. Whenever an opportunity to learn more, innovate and build a solution from scratch arises, we like to be there to test and improve our knowledge and skills. 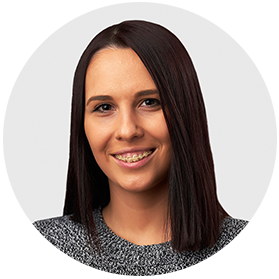 Milica Spasojevic is our Product Designer focused on transforming digital product ideas into reality. With her design skills and experience, she’s defining and scoping product requirements, turning them into usable interfaces and delightful digital experiences. She works closely with the engineering team and stakeholders to make that happen. Milica graduated from the College of Fine and Applied Arts in Belgrade and has been working on various design-related projects, either as a freelancer or as a member of various creative teams at companies such as GoDaddy, ManageWP/Devana, Raspberry Technology and more. 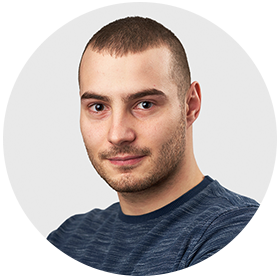 Filip Petrovic is a Software Engineer focusing on building cutting-edge solutions that help people and solve real problems. 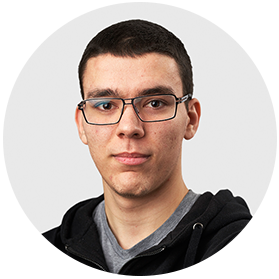 Filip not only excels at skills related to the blockchain technology such as cosmos-sdk, smart contracts, identity claims, ethermint, and tendermint, but also enjoys doing back-end and front-end product development. In fact, he launched two startups and has been in the blockchain industry for more than a year. 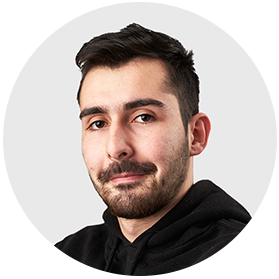 Kristian Zivkovic is a Back-End and Blockchain developer, passionate about startups and product creation. He even launched a startup before joining the MVP Workshop team. Working hand in hand with project managers, Kristian is focused on creating high-quality clean code from a project idea and creating the best possible product for our customers. When he is not working on a project, Kristian enjoys reading about the latest technological advancements and startups related to blockchain. Stefan Bürscher is a Full-Stack Engineer currently focused on front-end the development of mobile and web platforms. In fact, Stefan is committed to delivering high-quality products that are responsive on all devices. His skill set enables him to create apps with a flawless user experience that the end users are more likely to use and enjoy. Stefan’s approach to solving problems and developing products is a creative one as he collaborates with both designers and product managers to ensure the best possible solution. Did we mention that he was engaged in several startups? 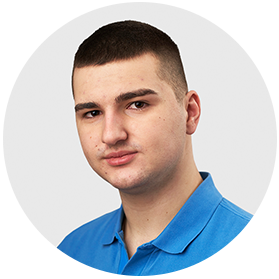 Jovan Jovanovic is a Back-End Engineer with a strong, continuous desire to further improve his knowledge and face challenges. With this in mind, it is safe to say that hackathons are the natural habitat that enables him to showcase and tweak his proficiency. Jovan will make sure to deliver sustainable, clean, and world-class code that will meet all clients’ requirements. The startup culture is an integral part of Jovan’s identity which was the chief reason for joining the team. Filip, Kristian, Stefan, and Jovan are currently majoring in computer science at the School of Computing in Belgrade. 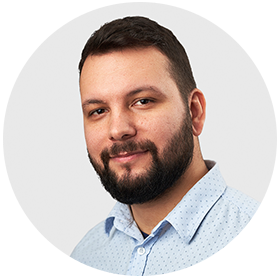 Petar Atanasovski is a Product Manager at MVP Workshop, currently working with Celsius Network and Anchor teams, and is also the Product Owner at Scriptarnica. Furthermore, he is a Co-founder and Product Owner at Blockademy — an e-learning platform that supports people diving into the blockchain world and becoming blockchain experts in their profession. Petar is all about growth. Whether it is people, products or effective organizations - he is committed to creating an outstanding customer experience. He has graduated from the University of Belgrade, Faculty of Mathematics — the Department of Informatics and Computer Science. Moreover, Peter has received an Executive MBA at the COTRUGLI Business School. He is a former head of Customer Happiness department at GoDaddy (ManageWP and Devana Technologies) where he was responsible for Web Professionals experience. Finally, Petar was the president of AIESEC in Serbia, which is the largest youth-run organization in the world. 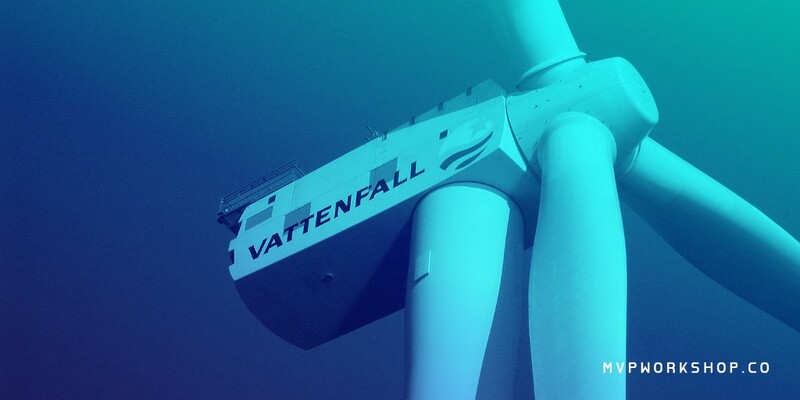 Vattenfall’s mission is to become fossil-free within one generation. Vattenfall is a leading European power company that electrifies entire industries and supplies energy to people’s homes. The company has been actively evolving, thus modernizing our way of life through innovation and cooperation for over a hundred years. Together, we’re creating a new type of digital infrastructure that can be used by everyone and that is not owned by anyone. For more information about the challenge we are working on, you can check the official page. We’re excited to begin our Odyssey! #odysseyhack Follow us and subscribe for more company updates, and feel free to join the conversation on Twitter and LinkedIn. For free business consultation about how blockchain can impact and change your business model, or anything else related to the technology — get in touch with us. MVP Workshop Team Has Been Selected to Take Part in Odyssey Hackathon 2019 was originally published in MVP Workshop on Medium, where people are continuing the conversation by highlighting and responding to this story.